Vision Networking & Computer Support has the ability to set your home or office up with a wide variety of wireless networking solutions. 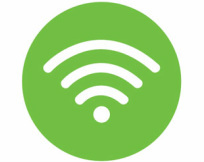 Be it connecting multiple storefronts via wireless internet, or just letting you use your laptop anywhere in your house, we've got you covered. These networks do not suffer from security vulnerabilities associated with most wireless networks. Advanced security, including MAC address filtering, 256-bit encryption, and advanced firewalls, insure only you and your employees have access to your network. IT Services and Support for your business, made easy.